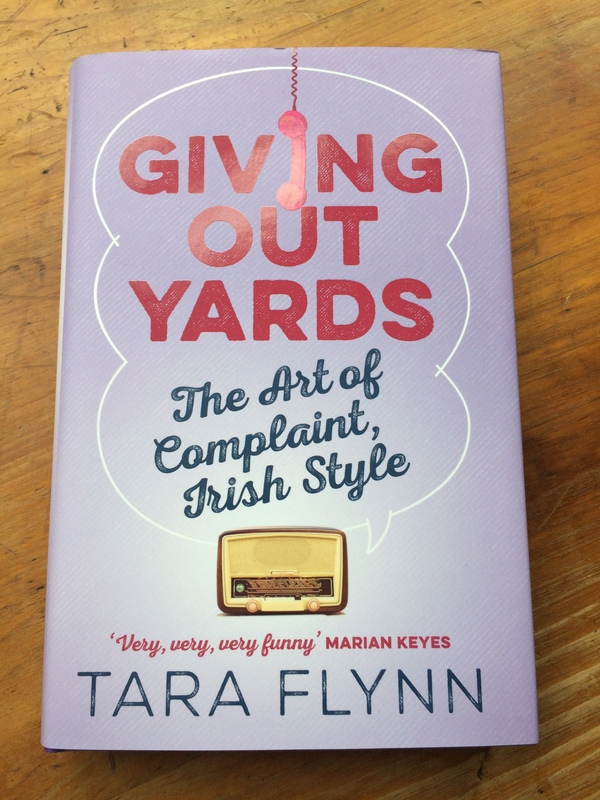 Giving Out Yards: The Art of Complaint, Irish Style (Hachette Books Ireland) is on sale now, with the paperback edition hitting shelves on June 2. It’s available on Amazon but check your local bookshop first (if they don’t have it, ask them to order it. Give em the business). Read the Irish Times review here and I chat with Dermot & Dave on Today FM about it here. 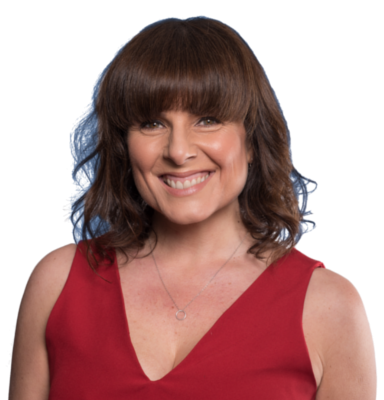 Louise O’Neill named it one of her books of 2015. Sneak preview for Where I Write here. Interview with Pat Kenny on Newstalk here (about 2/3 way into part 2). Dave Fanning on 2FM here. TV3 Ireland AM appearance on 3Player here. RTÉ Today Show viewable on RTEPlayer here til Nov 15. 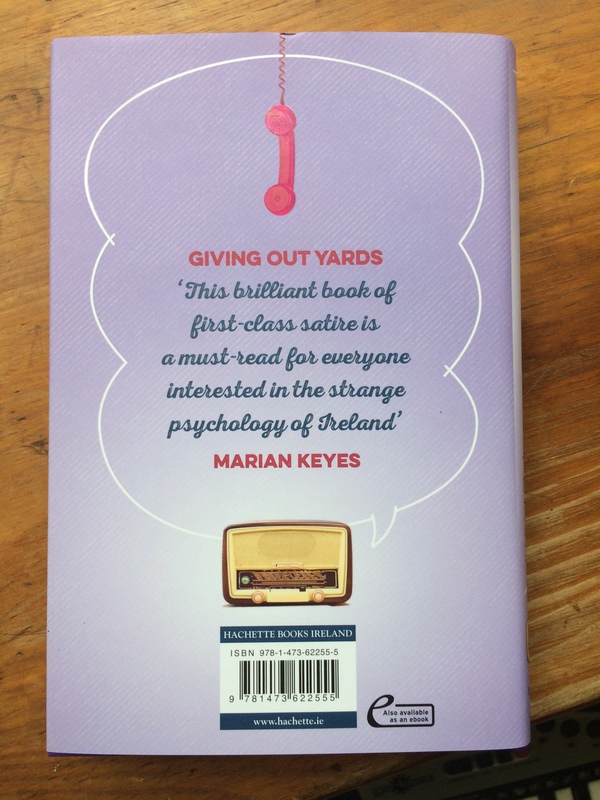 Irish Times Women’s Podcast on Giving Out Yards here. Image magazine Career Lessons here. Writing.ie piece on returning to writing following bereavement here. 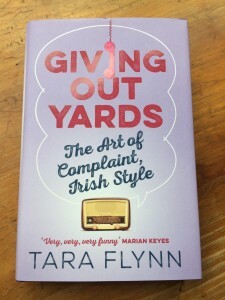 Irish Times Online piece on Giving Out Yards here. And here’s my Newstalk Online piece. 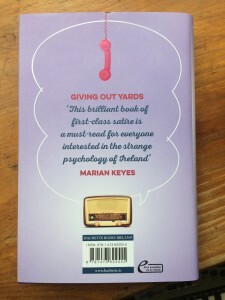 My first book You’re Grand: the Irishwoman’s Secret Guide to Life is in paperback in all good bookshops and only a few questionable ones. Details here.